Jamie Wind Whitmarsh is an American composer, percussionist, and conductor on faculty at Oklahoma City University. He regularly performs with clarinet/percussion duo Duo Rodinia as well as the percussion collective Great Plains Percussion Group, and is Music Director for the Oklahoma Composer's Orchestra. Jamie holds a Master's degree in Music Composition from Florida State University and Bachelor's degrees in Percussion Performance and Music Composition from Oklahoma City University. His music has been performed at several national and international conventions/conferences, including PASIC, SCI Regional Conferences, ITG, ICA, World Saxophone Congress, MTNA National, Regional and State Conventions, and NFA, as well as by such groups as the Tallahassee Composer's Orchestra, Northern Illinois University Philharmonic, Fairfax Symphony Orchestra, Broadway Community Chorus, National Broadway Chorus, Florida State University Percussion Ensemble, soprano Rachelle Fleming, principal trumpet of the Alabama Symphony Orchestra Ryan Beach, steel pan virtuoso Liam Teague, and many more. Jamie has placed first in the 2012 PAS Composition Contest, second in the 2013 PAS Composition Contest, first in the FSU Orchestral Composition Competition, honorable mention in the James P. and Shirley J. Obrien Endowment Composition Competition, first in the 2013 MTNA National Composition Contest, and was a winner for Noise-to-Signal Ensemble’s 2016 Call for Scores. His performance activities are wide-ranging. As a member of Duo Rodinia, Jamie has performed as guest artist at many universities, as well as at the 2015 and 2016 CMS Southern Regional Conferences, the SCI 50th National Convention, the 2016 SCI National Student Convention, as the featured guest artists for the 2016 SCI Region VI Conference, and guest artist ensemble for the Taneycomo Festival Orchestra. Great Plains Percussion Group has presented at the National Conference on Percussion Pedagogy, the Oklahoma Day of Percussion, and the SWOSU Marimba Camp, where the group served as the featured guest artist. 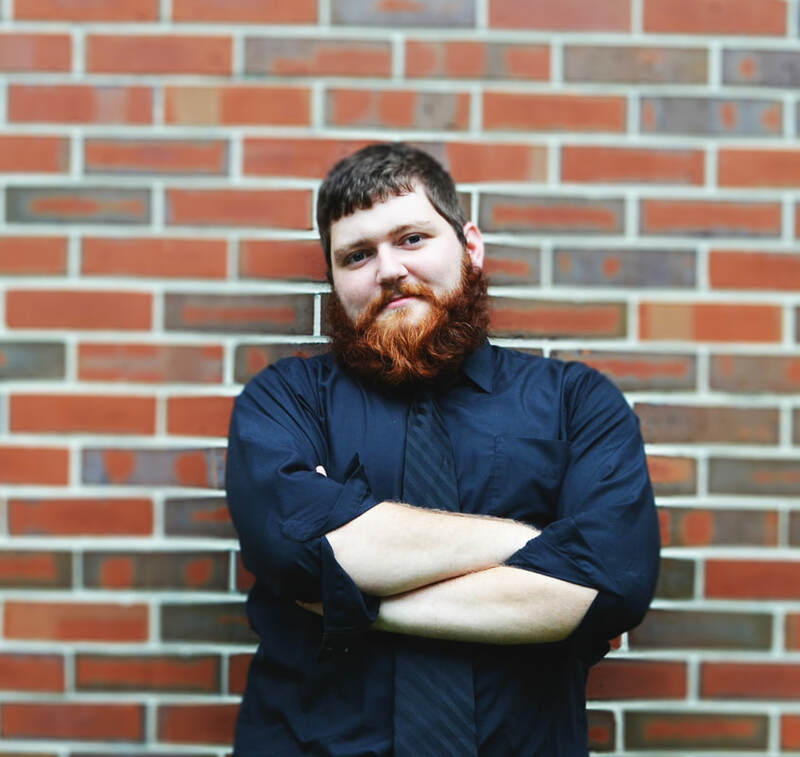 Jamie is a multiple-time soloist at the Oklahoma Day of Percussion, and has performed for the 2012, 2015 and 2016 College Music Society Southern Regional Conferences. In 2014, he toured the Eastern U.S. with a new music ensemble which culminated in a performance at Carnegie Hall. He can be heard on the compact discs Firefish, the Music of Blake Tyson, Florida State University Percussion Ensemble, Volume II: Not Far From Here and Florida State University Percussion Ensemble, Volume III: Ten Windows, the last of which contains his work NAILS!!!. His work Aqueous Transfusion may be heard on Tyler Tolles’ debut disc In Touch, his work Buckle Up on Rogue Two's debut disc, and his works Portraits and Insights may be heard on Ryan Beach’s forthcoming solo disc. As a conductor, Jamie has focused on premiering works by living composers, with an emphasis on emerging composers. He spends his summers teaching theory, aural skills, and composition at the OCU Performing Arts Academy, and percussion at the OCU Percussion Camp. He is on percussion staff with Yukon High School and is also highly sought after as a wind/percussion arranger with A103 Productions. Jamie has studied percussion with David Steffens, Lance Drege, Steve Craft, Ben Fraley and Tommy Dobbs; composition with Edward Knight, Ladislav Kubik, Ellen Taaffe Zwilich, Lendell Black, Kris Maloy, and Mark Wingate; conducting with Matthew Mailman; and steel pan with Mia Gormandy. His music is published by Jamie Wind Whitmarsh Music, C. Alan Publications, and Engine Room Publications. He is a member of SCI, ASCAP, and PAS and serves on the Composition Contest Committee for PAS as well as chair of the Composition Education Subcommittee. Jamie proudly endorses Innovative Percussion products.